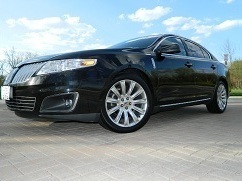 Think Green Limousine is the number one Eco-Luxury™ limousine company in Chicago land. We strive to provide our customers with the most reliable, safe, and luxurious transportation services. Going a step above our competition, we take the initiative to operate all aspects of the business in ways that are least impacting on the environment; from our office to our green limos. 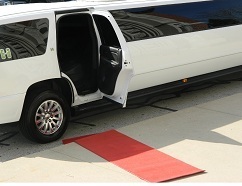 Our unique Naperville limo service is the first to offer luxury green limousines in Chicago, IL. We are proud to have the world's first SUV hybrid limousine and feel that our green limo service is revolutionizing the Chicago limo industry. Our fleet of eco-friendly limousines utilize the latest automotive technologies, which are more fuel efficient than traditional liveries, and we off-set our carbon footprint by being a proud partner of non-profit eco-friendly organizations such as carbonfund.org. Think Green Limousine is based out of Naperville, Illinois and offers luxury green limo service in Chicago and the surrounding suburbs at an affordable price. 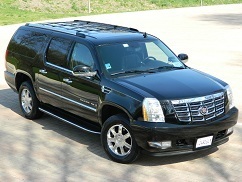 Check out our special Chicago airport limo rates for O'Hare and Midway limo service. As a member of the National Limousine Association, our Naperville limo company is committed to provide our customers with first class livery service. Whether you are looking for transportation to the airport, a night out on the town, or celebrating a special occasion, our experienced staff and courteous chauffeurs will deliver the highest level of customer service and unsurpassed excellence.